About Miss Huan (Eileen) Sun (huan.sun@northumbria.ac.uk) is a Full-time PhD candidate and Associate Lecturer at Newcastle Business School of the Northumbria University. Her principle supervisor is Dr Rose Quan; other members of her supervision team include Professor James Cunningham and Professor Wenjing Cheng (external). Prior to beginning the PhD program, she received her MSc degree in Business and Management from the Northumbria University. Her master’s thesis targeted the innovation implementation and its relationship to SMEs’ competitiveness in the peripheral region of China. And a Full Paper named “Exploring Innovation of Chinese Outlying SMEs: Forms and Influencing Elements”, which had been derived from her master thesis, has been accepted and presented in the 3rd International Conference on Innovation and Entrepreneurship: Theory and Practice Relevant to China and Other Transitional Economies at Lancaster University. Huan also has a BA (Hons) in Accounting and Finance from the Northumbria University. And she has a BA in English (International Business Administration) from the Jiangxi Normal University (China), where she led and successfully conducted two sustainable innovation researches in terms of urban villages and environmental NGOs, separately. 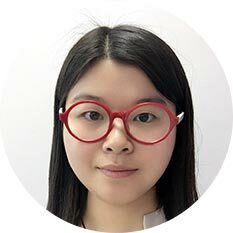 In addition to pursuing her academic growth, Miss Huan Sun was employed and now consulting in few start-ups and manufacturing SMEs in China and the UK. These academic and working experiences sparks her interests in innovation, corporate sustainability, international entrepreneurship, systematic reviewing method, and emerging or transformative economy’s research.